Mid-range gyms are quickly becoming something of the past thanks to the rise of boutique studios and fitness classes, all of which are booming. It’s probably to do with them catering for the new normal: fitness enthusiasts wanting to mix up their fitness regime and keep motivated without the same old slog on the treadmill. But as with anything that takes off in popularity, there are now so many to choose from it’s become hard to know where to start. How do the different studios we see popping up around the UK capital differ? Where’s good for HIIT? Which is best for Spin? Well, I’ve gone and saved you a tonne of research and spent the last few months testing some out across the city of London to find out. 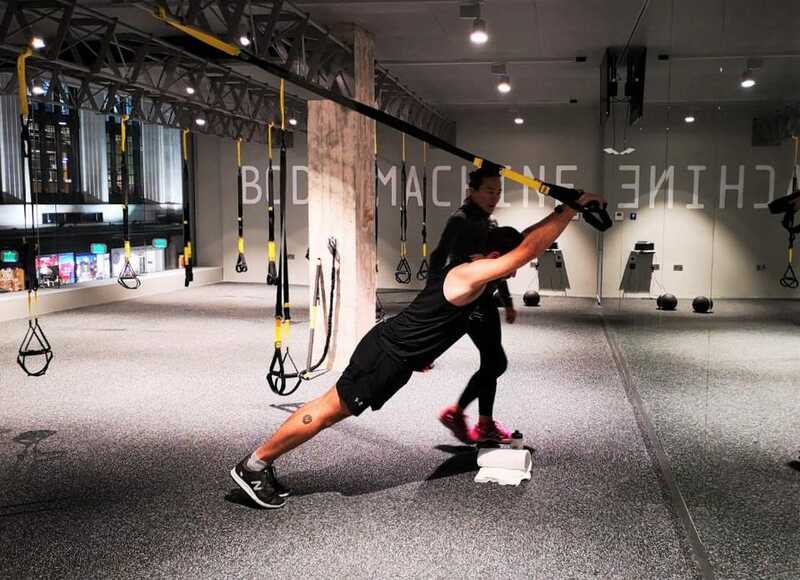 Say hello to Europe’s first authentically-licensed TRX studio: Body Machine. In case you’re not already aware, TRX stands for Total-Body Resistance Exercise. 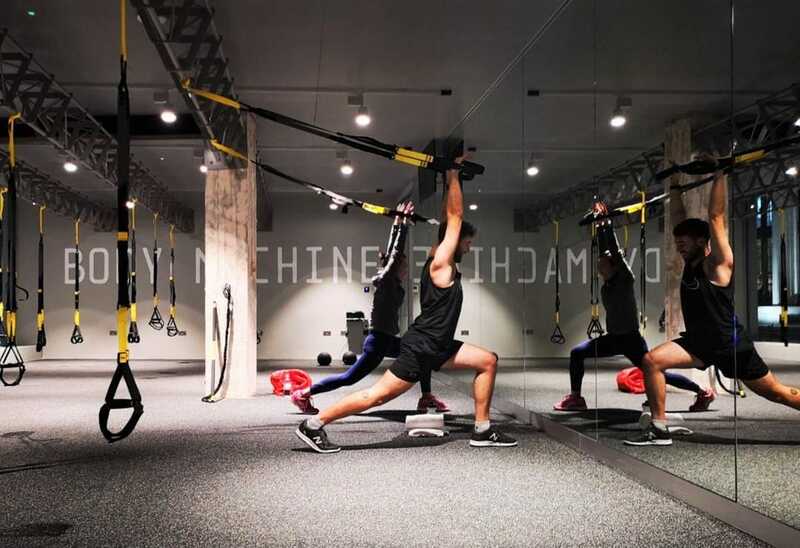 Unlike traditional weight training that typically works one muscle at a time, TRX Suspension Training uses your body weight and gravity with the aid of the TRX Suspension Trainer, which allows you to move through multiple planes of motion and work various muscles and joints all at the same time. Welcome to FLY LDN, a new studio in Aldgate that has attempted the union of yoga and tech in a way that I think works really well. And no, it’s not about measuring how many calories you’re burning or what zone your heart rate is in (thank god). The studio has been very clever in the way it’s gone about introducing innovation into yoga – by merely enhancing the experience and how the ancient practice is performed. 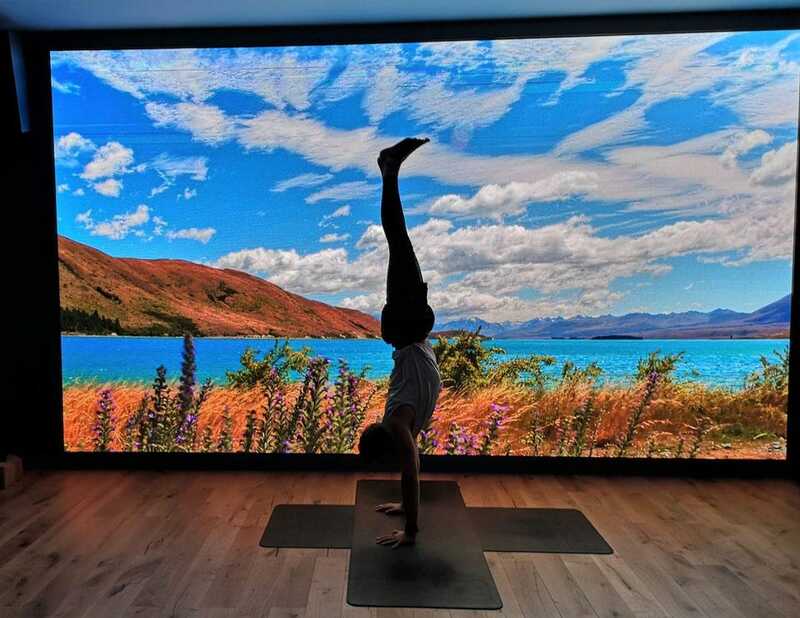 The studio does this by offering vinyasa yoga classes set against a gigantic 4K display – measuring 20ft diagonally – that projects immersive and vibrant cinematic visuals (think Himalayan mountain ranges one minute and ocean swells the next) alongside curated playlists, both of which have been designed to elevate the feeling of escapism and relaxation. Due to the sheer size of the display, the HD visuals do make you feel immersed in nature, but they work in two different ways. I found myself feeling more motivated as I went through the more energic flow sequences, and then more relaxed towards the end of the class, for example when gazing up while placing my hands together at heart center. It might not be for everyone, especially the die-hard traditional yogi types, but the set up worked for me, and I can imagine it working for the next generation of yogis who find it difficult to feel motivated without some form of visual stimulation. Ps. In case you were wondering, FLY actually stands for Flow Life Yoga. So there you have it!